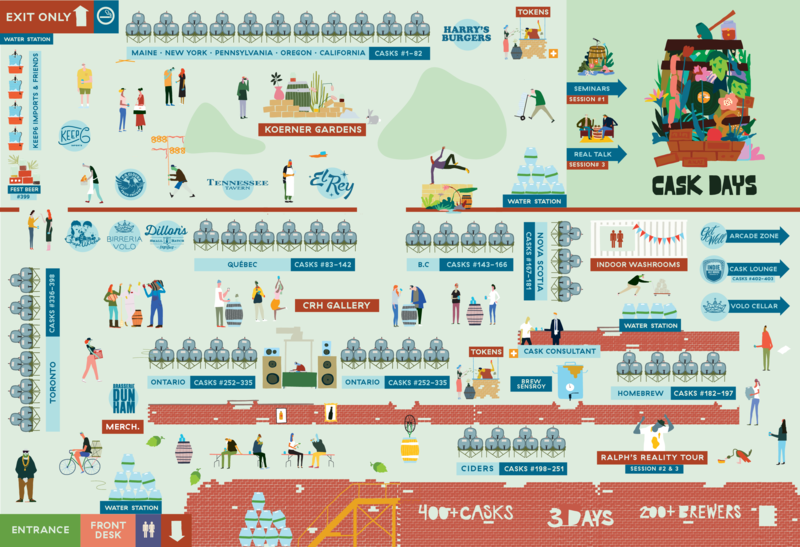 Cask Days is located at Evergreen Brick Works in the CRH Gallery and Koerner Gardens. Enter through the East Parking Lot (click here for map). Here are all the ways to get to the event. Click Here. 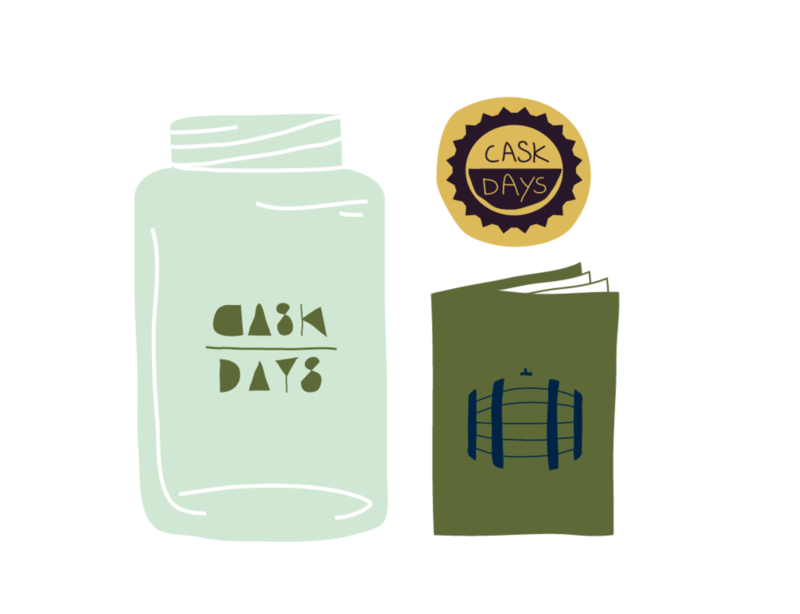 The Cask Days registration booth opens one hour before each session begins (including early access). Arrive early for your place in the festival. Evergreen Brick Works is a semi indoor/outdoor event space. Cask Days is a rain or shine event. Please dress appropriately. We recommend hats and gloves! The cask list will be available for viewing online (not in booklets) and will be updated live throughout the weekend as beers run out. Click here for list. Help us admit guests into the festival quickly. Have your ticket out and ready (print or digital). Bring government photo ID. Bags will be checked by security. No outside food or drinks are allowed. Each cask has been assigned a unique number. Help our staff serve you faster, order by number. Not by the cask name. The cask list includes the number. Tokens can be used across all sessions. Tokens are non-refundable. Credit & Debit accepted. Pro Tip: There will be cash only express lines to help speed processing. Every ticket includes a festival glass. 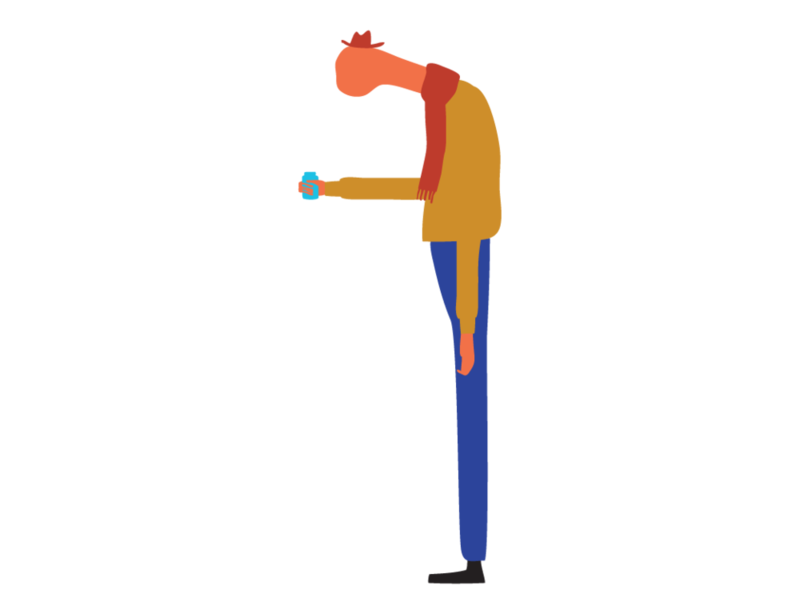 Please hang on to your glass. If broken or lost you can purchase a new one at the merchandise booth. There will be designated water and rinsing stations (self served from a cask) throughout the event space for you to clean your glass and keep hydrated. Un-filtered, unpasteurized and naturally carbonated. Read all about cask ale here: What is cask ale? Check out our merchandise booth for limited edition Cask Days swag. We will be selling t-shirts, sweaters and glassware. Cask Days isn't just about cask beer. The festival features an array of experiences for all types of people. Check out what this year has in store: Click Here! Our good friends at Get Well Bar on Dundas St. will be providing free pinball and classic arcade games all weekend long! We like to think of cask-conditioned ale as the vinyl of beer. Raw, unfiltered and live. Check out the DJ line up here. Please be respectful towards the neighbourhood, venue, fellow festival goers, support staff and transportation services. Drink responsibly. Don't drink and drive. Bring your glass on Sunday & pay $10. We will have 100+ cask ales plus 24 special draft beers. Family friendly. Info here. There will be two last call announcements: 30 and 15 minutes (token booths close) before the session ends. No alcohol will be served after last call. After your session check out some of these great off-Cask Days events happening at Indie Ale house, Paradise Grapevine, Bar Hop & Birreria Volo! Help spread the awareness of cask-conditioned ale. Use #oncask on social media when at Cask Days. Cask Days is not all about the beer. Enjoy the epic eats, raw beats and art.